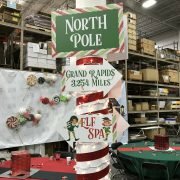 Gilson Graphics’ Holiday Luncheon celebrated the season in style with food, fun, and festivities here in the snowy heart of Grand Rapids, Michigan. This year we went with a Flannel dress theme that let employees channel their inner lumberjack and share in the lively activities we had planned. 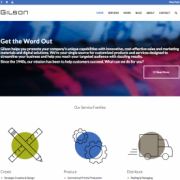 Reminding everyone that we like to work hard and play hard here at Gilson–especially during the holidays! Improve your Blog Post SEO with quick and easy tips that anyone can use! 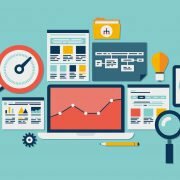 Are you having trouble figuring out how to structure your blogs for SEO? It’s easier than you think! Just step outside of the box and start thinking about making your posts more concise and easier to read. What is SEO? SEO stands for Search Engine Optimization, which helps people searching for specific keywords find your blog or website. The goal is to always try to have top-notch SEO so that people can find your content. We’ve gathered some quick and easy tips that will get your SEO in line and start boosting your blog posts. Here are just a few tips to get you blogging like a pro in no time. A company picnic is no joke. We all love to work hard, but it’s just as important to play hard. This year we celebrated our first company picnic in almost ten years for Gilson Graphics! 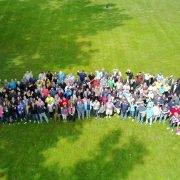 We celebrated at Riverside Park in beautiful Grand Rapids where we played games, ate great food, and celebrated our employees and accomplishments. 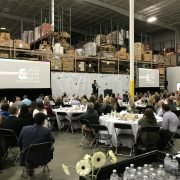 We wished that all of the Gilson Graphics team could be there, but the turnout was still incredible and we couldn’t have been happier with the results. What happened at the company picnic? We’re glad you asked! Here’s a quick recap of some of the big events that happened at the event. 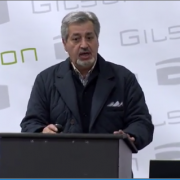 At GlobalShop, Gilson dares to be different! 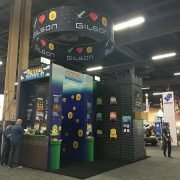 This year’s GlobalShop display was no exception, we showed off a brand new retro gaming-themed booth that explores the various levels of “Retail World” – and how Gilson can help you reach the top of your game. If you’re looking for new ways to promote your business, look no further! 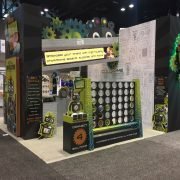 If you’re planning on attending the 2015 GlobalShop in at the Mandalay Bay Convention Center in Las Vegas this year, you won’t want to miss the Gilson exhibit! There will be plenty of opportunities to interact with the display (think: magnets, dry erase, edge-lit LED plexi, and more!) and to be inspired. Here are just a few reasons to visit Gilson this year.